Published in The Colombo Times and Sri Lanka News First. Other versions were published in Frontier India World Affairs and the Network of Spiritual Progressives. To subdue theenemy without fighting is the acme of skill. Improvised Explosive Devices (IEDs) continue more and more to be the weapon of choice by the weaker foe in asymmetrical warfare. They represent the biggest single source of injury and destabilization in mission operations. For instance, IED usage in Afghanistan rose by 87% in the first quarter of this year compared to the same period last year and caused 60% of war casualties, according to NATO. Col. Gregg Julian, the top U.S. spokesman in Afghanistan, confirms that the increase was expected: "It is their primary means of conducting attacks because they can’t launch an effective direct attack." He also anticipates this deadly trend to continue. Efforts to detect and neutralize IEDs have increased. However, over the years, insurgents have devised ever-more-ingenious innovations to counter attempts to find, defuse and detonate IEDs. They continually refine strategies and techniques to better construct, conceal and explode sophisticated and lethal devices. "In a worldwhere highly lethal, potentially anonymous weapons can be obtained by almostanyone who wants them, the only effective defense is to detect a pending attackand intervene before it can be carried out. That requires constant, globalvigilance as close as possible to the individual level. A single terroristplot, overlooked, could result not in hundreds or thousands of deaths, but intens of thousands. An adversary’s capacity for high-tech combat, ifunderestimated, could cost tens of thousands of battlefield casualties, andperhaps lose a war." Libertarians argue that such a strategy would interfere with the basic human right to privacy that we value in a free society. The authors concede that the strategy of global vigilance as close to the individual level as possible certainly may prevent attacks. However, it will never stop all of them. History shows that enemies will always find a weakness and exploit it. Anti-terrorism experts point out that the attacks of 9/11 were carried out with "Improvised Explosive Devices," in this case commercial aircraft filled with volatile jet fuel. If just one clever individual stages just one successful attack with a yet unimagined IED of greater mass destruction capability, the consequences could be even more massive. No known global vigilance system is good enough to filter out this person before he or she does grave harm. For these reasons, military strategists now advocate concentrating on the creation of IED prevention strategies and technologies that operate farther and farther to the "left of the boom." This means that, if IED attacks were placed on a timeline, the best approaches would intervene to the left of the boom (IED explosion) long before the explosions happened. Military strategists argue that if IEDs have been planted, anti-IEDs approaches have failed. The authors argue that even this point on the timeline is too late. Terrorism clearly reveals a very high and thorough indoctrination. For the most part, current anti-terrorism strategies do not appear to be keeping the terrorists under control. Their covert attacks will continue if we continue to use the same conventional methods. Often, terrorists are invisible, because they use remotely controlled devices to trigger explosions from afar. To regain strategic advantage, the system of tackling terrorists has to be different from fighting against organized armed forces. Terrorists typically cannot be discovered before they cause damage. The root cause of terrorism lies in the human mind and there it must be eliminated. Therefore, the root of the problem is not the IEDs or other weapons as technical devices, but the terrorist as a deranged human being who wants to make use of the IEDs to pursue his goals. Ultimately, what is needed is a technology that prevents not just IEDs, but any terrorism threat by preventing the enemy from arising. Does such a technology exist? Yes—and it has been validated by extensive scientific research and already been field-tested by militaries. A new solution proven to prevent social problems like terrorism and war is nowavailable. In military circles it is known as Invincible Defense Technology(IDT). It is an ancient human resource-based technology of consciousness that iscapable of defusing and eliminating violence and conflict. Extensive researchhas confirmed its effectiveness. This new technology is easily applied andhighly cost-effective. With the practical application of the IDT, a field effect of collective consciousness can be created. The intention of the terrorist to commit a hostile act using Improvised Explosive Devices can be deflected by the more powerful influences of collective consciousness. This happens naturally, much as a superconducting magnetic field repels the influence of an intrusive external magnetic field. 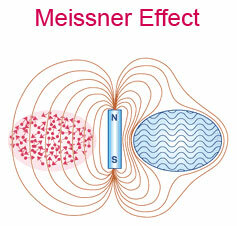 This latter phenomenon is called the Meissner Effect. The effect of collective consciousness is called the Maharishi Effect. It is named in honor of Maharishi Mahesh Yogi, the foremost exponent and scientist of consciousness known to our modern age. On the left, an external magnetic field penetratesan ordinary conductor whose electrons behave in a chaotic or disorderlyway. On the right, the external magnetic field is excluded from the interior of a super-conductor whose electrons function in a coherent collective manner—invincibility. The Maharishi Effect creates invincible "nationalarmor" that cannot be penetrated by the collective negativity of othercountries. This approach utilizes large groups of peace-creatingexperts practicing ancient technologies of consciousness that harness the mostpowerful level of nature’s functioning—the unified field described bysuperstring theory. Research published in peer-reviewed journals indicates thatsuch groups can effectively defuse and prevent social problems like crime, warand terrorism. Despite our advanced technology and intelligent efforts, we struggle to eliminate terrorism by utilizing strategies and tactics that largely ignore the root cause of terrorism. Analysis shows that the underlying cause of social violence is, primarily, accumulated social stress. Therefore, to eliminate social problems such as terrorism, war and crime, we need to reduce collective societal stress. Extensive research indicates that the best way to reduce collective societal stress is to adopt an ancient, but neglected strategy: "Avert the danger that has not yet come. Prevent an enemy for arising." This strategy was known in the Vedic tradition of ancient India, and practical approaches were available to achieve it. This tradition is still alive today. During the past 40 years, more than 600 scientific studies conducted at 250 independent universities and medical schools in 33 countries have validated the wide-ranging stress-reducing benefits of the TM program. By applying this human resource-based technology, the military and related security agencies could reduce tensions and control terrorism, including IED attacks. Counter-intuitively, combat casualties diminish through non-lethal and non-destructive methods. Presently, the military uses defense systems that are basedon electronic technologies (Level 4 in chart below), chemical technologies (Level 3), biological technologies (Level 3), and nuclear technologies (Level 3).The chart below illustrates that invincibility cannot be obtained on theselevels. 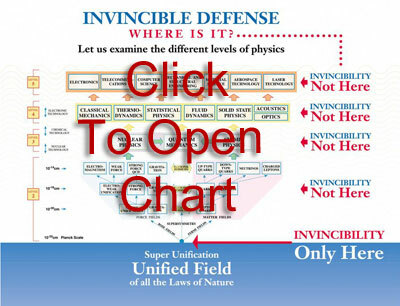 "The technology of the unified field…is vastly more powerful than any previous level of defensive technology. 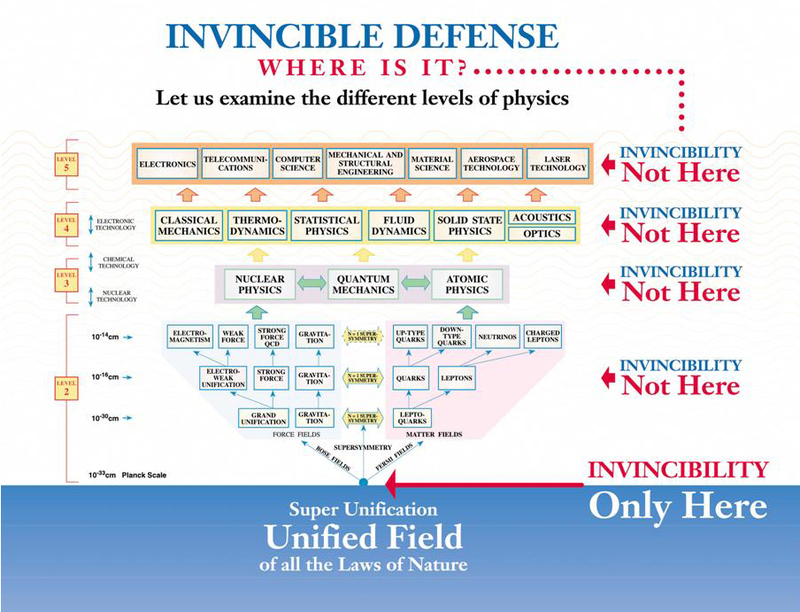 The unique power of the unified field and of technologies of the unified field reveals that invincibility in nature is only available at the superunified scale. The chart above shows the hierarchical structure of natural law, from fundamentally unified to superficially diverse at the macroscopic levels of nature’s functioning, and reveals that invincibility is not found at any of the more superficial levels of natural law. Invincibility in nature only exists at the level of the unified field." If the military were to harness the power of the unified field through IDT, the nation would rise quickly toward invincibility. This approach to strengthening collective consciousness eliminates the enmity of the enemies. Research has shown reduced war deaths, casualties, and reduction in crime indices when larger numbers of experts practice IDT methods, as follows. 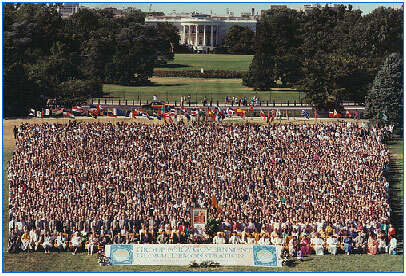 Individuals engage in a simple process of Transcendental Meditation and advanced techniques in a large group setting. Research shows these methods enhance orderly thinking through increased coherence of brain function. In turn, these physiological changes impact surrounding social events much in the same manner as electronic impulses in a radio tower emanate radio waves for hundreds of miles. Scientists call this a "field effect." Like energetic radio waves, accessing the Unified Field through techniques of consciousness causes "field effects" in the surrounding social environments. Therefore, the field effects of the Unified Field enhance the orderliness of social relations. Orderliness reduces friction and its social equivalent: enmity. With no enmity between them, former enemies become allies, and the nations become invincible because there are no enemies to fight. A coherence-creating IDT group provides a realistic approachto the goal of national security and invincibility. This group could becomprised of members of the military (a “Prevention Wing of theMilitary”), a group of civilians, or a group combining the two. Forinstance, Ecuador’s “Project:Coherence,” introduced by then-Vice-Minister of Defense LieutenantGeneral Villamil, utilized both military andcivilian personnel. Coherence-creating groups are trained in the primarytechniques of Invincible Defense Technology (IDT)—the Transcendental Meditationprogram and its advanced practice, the TM-Sidhi program—and then they regularlypractice these techniques together, morning and evening. According to the research, the size of the group needed to reduce social stress depends on the size of the population. The minimum number of IDT participants necessary to create clear effects is the square root of one percent of the population. To calculate this number, multiply the population size by 0.01, and then take the square root of this number. Studies show that when the number of IDT practitioners reaches this square root of 1 percent minimum threshold, crime goes down, quality of life indices go up, and war and terrorism abate. Scientists named this phenomenon the Maharishi Effect in honor of Maharishi, who first predicted it. For instance, a Maharishi Effect intervention was implemented and studied in Washington, D.C., in 1993. Predictions were lodged in advance with government leaders and newspapers. The research protocol was approved by an independent Project Review Board. When the coherence-creating group reached its maximum number of participants, crime fell 24 percent below the level of criminal activity predicted for the season, location, and temperature. Temperature, weekend effects, and previous trends in the data failed to account for the observed changes in crime rates. This research was published in the peer-reviewed journal SocialIndicators Research. Another peer-reviewed studypublished in the Journal ofConflict Resolution demonstrated that a sufficiently large group ofInvincible Defense Technology (IDT) experts in Israel affected the war innearby Lebanon. The Lebanon War intensity dropped 45 percent, war deathsdropped 76 percent. In Israel, crime dropped by 12 percent and quality of lifeimproved. On the same days, a composite quality-of-life index showed decreased crime, traffic accidents and fires in Jerusalem. The index also showed decreased crime accompanied by improvements in the stock market and national mood throughout Israel. Other possible causes (weather, weekends, holidays, etc.) were statistically controlled for and could not account for the results. A follow-up day-by-day study of more than two years, published in the Journal ofSocial Behavior and Personality, showed that during seven different coherence-creating assemblies, war deaths in Lebanon decreased by an average of 71%. Based on this research and other studies, it is clear that Invincible Defense Technology is capable of greatly reducing protracted sectarian violence. Quality of life in Israel improved and intensity of the conflict in Lebanon decreased in direct proportion to the number of Invincible Defense Technology experts in the coherence-creating group. A short online video (5:38) featuring Dr. John Hagelin explains this finding. It is interesting to note that technological pioneers like Marconi faced similar criticism when they suggested that their wireless radios utilized electromagnetic field effects. Few people at the time believed that messages could be transmitted through thin air using electromagnetic fields. Despite the obvious strategic advantage of sending messages from a ship far at sea to land-based military observers, one country’s military persisted in using carrier pigeons for communications for some time after Marconi’s success in demonstrating the practical utility of electromagnetic radio waves. Over 50 studies have shown that IDT works. The causal mechanism has been postulated to be a field effect of consciousness—an effect created from the level of the unified field by the peace-creating group that spills over into the larger population. On this basis, a study in the Journalof Social Behavior and Personality additionally offers a proposed explanation of the field effect in terms of biological cause-and-effect. Research on the neurotransmitter serotonin suggests that its increased availability in the body can lead to feelings of contentment, happiness, and even euphoria. Low physiological levels of serotonin or its breakdown product, according to research, correlate with violence, aggression, and poor emotional moods. A study of serotonin availability in non-meditating community members showed a correlation with numbers of experts practicing IDT in the area. This correlation between serotonin changes in non-practicing persons and numbers of IDT practitioners was statistically significant. A study of serotonin availability in non-meditating community members, showed a correlation with numbers of experts practicing IDT in the area. This correlation between serotonin changes in non-practicing persons and numbers of IDT practitioners was statistically significant. The results fit a statistical model of causality, indicating that increases and decreases in the size of the IDT group was the most likely explanation for the observed changes in serotonin in non-practitioners outside the group. When combined with the unique Vedic understanding of consciousness, this finding offers a plausible neurophysiologic mechanism to explain reduced hostility and aggression in society at large. Beyond these three known states of consciousness, IDT facilitates access of a different and unique physiological constellation of measures called the "transcendental state." Specific instruction facilitates this natural tendency of the mind so that transcending can occur at will. This method is called the Transcendental Meditation program of Maharishi Mahesh Yogi. The experience of a 4th state of consciousness (transcendental consciousness) in the advanced TM practitioner appears to be associated with an increase in serotonin activity and a decrease in the stress-related hormone cortisol. As far as scientists can speculate, the experience of transcendental consciousness during the practice of the Transcendental Meditation technique produces EEG coherence in the brain of the TM practitioners. This occurs even more powerfully in a group and creates an influence that spreads throughout the unified field from the individual to the group, and out to the surrounding social environment. Modern unified field theories indicate that this unified field underlies everything in the material and mental universe. Physicists familiar with research on the TM program suggest that when practitioners of the TM-Sidhi program go deep in meditation in the group, enlivening the experience of transcendental consciousness, there is increased serotonin and EEG coherence not only in each individual in the group but also in the non-TM practitioners outside the group. Serotonin may be materially involved in this increased coherence. This research was referenced in a more comprehensive paper published by the Securityand Political Risk Analysis (SAPRA) think tank that puts the findings in a more elaborate context. People from all religious backgrounds practice the Transcendental Meditation program and appreciate how it has enhanced their faith. For instance, Nada Haider, a practicing Muslim living in Beruit, Lebanon, wrote: "I would say that the Transcendental Meditation technique is like cleaning the mirror and what you see afterwards has nothing to do with the actual process of cleaning. TM is not a religion and it does not in any way require individuals to change their personal beliefs or practices; yet, by promoting a clear mind and a clean, stress-free nervous system, it helps one to live the highest values of religious life." Miral Shaaban, a veiled Muslim who lives in Cairo, Egypt, wrote: "I cannot ever forget the first time I prayed after my first meditation. I learned the TM technique in December of 2006: I was speechless and cannot explain this state of complete serenity, contentment and gratitude for God. TM increased my level of acceptance and appreciation for my faith and strengthened my beliefs." She also reported that "reading from the Qur’an is becoming more enjoyable and comforting at the same time, as now I can better link its teachings with everything around me: my level of comprehension of its meanings are increasing on a daily basis…The great value of TM is that it deepens and expands one’s level of consciousness, so that one can begin to more fully grasp and live the deeper meanings and values of one’s own religion. This truth reminds me of the teaching from the holy Qur’an that offers great knowledge in the form of a question: ‘Are those who know and those who know not on the same level?’ Obviously, the answer is no." Atmane Kouider, Ph.D., practicing Muslim and teacher of the TM program who lives in Algiers, Algeria, reported: "Among all the people to whom I taught the TM Technique, I have never heard of anyone who gave up his Islamic practice after learning TM; but, I have heard of many individuals, born Muslim, who adopted Islamic practice after learning the TM program. God states in His Holy Qur’an: ‘Verily never will Allah change the condition of a people until they change that which is in their own self.’ Here, in TM, is a scientifically validated program for changing our inner condition to harmony and all good. Let us adopt it to improve that which is in our own self and deserve God’s Mercy and Grace for ourselves and every living being." Theoretical physicists allude to the unified field as thebasis of all laws of nature. IDT appears to work from this fundamental level.In fact, the Vedic tradition considers this state of transcendentalconsciousness to be a unified field of consciousness. 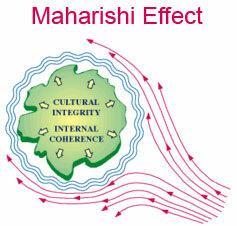 The Maharishi Effect isobserved when the collective consciousness of society is made more coherentthrough IDT. In 2007, Dr. John Hagelin, Executive Director of the International Center for Invincible Defense in New York City, addressed UN ambassadors,government leaders, and the world press to call for establishing in everycountry a group of experts in IDT to render every country impervious to attack.”This is science—this is not a fanciful dream,” Dr. Hagelin declared.”I am speaking of a new approach to national security and invincibilitythat is based on the latest discoveries of quantum physics, physiology, andneuroscience, and which has been validated by extensive published scientificresearch. This new scientific approach provides a practical, proven solution tothe problems of violence and conflict—and ensures that every government canimmediately secure the safety and security of its people.” A video of Dr.Hagelin (1:13:00) explaining the scientific research on IDT is availableonline as well as from a transcription with full-sized images from his presentation. Mozambique used IDT to end its civil war in the 1990s. One year ago, civilians in the Netherlands quietly formed a large enough group of IDT experts to achieve the Maharishi Effect. Profound changes in Netherlands politics, economics and social trends gave statistical evidence of improvements associated with attaining the necessary square root of one percent of IDT practitioners within its political boundaries. Since then, civilian groups in Bolivia, Trinidad and Tobago, Columbia, and Peru have also taken responsibility for building sufficiently large groups within their boundaries. Presently, the United States is close to getting the requisitenumber of IDT experts at the Invincible America Assembly in Fairfield, Iowa. The pilot project in Mozambique dissolved after the UN broke up the military as part of the civil war treaty. High school students, who will graduate and move on, make up the bulk of the practitioners in Columbia. Private philanthropic funding in Iowa supports the development of a permanent group in the United States. However, non-government-funded groups may or may not be reliable over the long term. The military and related security agencies are responsible for protectingthe nation, and are obligated to thoroughly examine realistic, scientificallyverified methods for ending war and terrorism. Since they are funded and theirpersonnel are paid to perform their duties, they are not subject to thefluctuations of donors, jobs, graduations, and optional activities. Because thedepartments are paid to protect the nation, it is entirely appropriate for themto fund and staff a Prevention Wing of the Military. However, gettinggovernment leaders to examine IDT research has proven difficult. Bias against the unconventional approach of IDT was examinedby Dr. Carla Brown, an expert in qualitative research design and an adjunctprofessor at Aurora University in Illinois. In her Harvard doctoral dissertation, she explored whether and how members of the Middle East policy community applied truth and utility tests to research findings about IDT. Ms. Brown asked these researchers to read a study that had been published in the Journal of Conflict Resolution. The study that she gave them showed a dramatic 45 percent reduction in war intensity and 75 percent reduction in war deaths when a critical mass of experts practiced IDT in large groups. Among various outcomes of her study, Brown found that several respondents in each elite group that she interviewed were likely to examine a similar paper in the future, motivated in part by their examination of the quality of science involved. She also found that some of her interviewees did not take the effort to examine the research, including some social scientists who were critical of the research. Attempting to find solutions to the non-scientific behaviors of the journal referees, "gate-keepers" of scientific inquiry, Brown explored means for overcoming the prejudicial barriers to the use of this research. At a time when the research outcomes described are greatly needed, Brown’s paper may provide context for those who want to understand their own prejudice or built-in reservations. Brown’s paper helps security experts and policy gate-keepers to better understand how the barriers to IDT can be addressed and why the technology is emotionally difficult for many to accept. Brown’s research was published in the Journal of Social Behavior and Personality. Her Harvard doctoral dissertation is availableonline. A prevention-oriented paradigm shift is taking place in the US military. In October 2007, the Navy, Marine Corps, and Coast Guard announced a new strategy: "We believe that preventing wars is as important as winning wars." This is the biggest revision of US naval strategy in 25 years, focusing more on humanitarian missions and improving international cooperation. From the U.S. Army side, Army Gen. Stanley McChrystal recently vowed that he would use a "holistic" strategy and take extreme measures to avoid Afghan civilian casualties. Its "measure of effectiveness will not be the number of enemy killed, it will be the number of Afghans shielded from violence," he said. Evidence points to movement towards pragmatic attainment of these goals. Another member of the U.S. Army, Colonel Brian M. Rees, M.D., M.P.H., Medical Corps, (Reserve), completed his Masters research paper in 2007 at the US Army War College on the topic of IDT, entitled "TheApplications of Strategic Stress Management [SSM] in Winning the Peace." The paper concluded that "[IDT] has demonstrated efficacy when addressing the nefarious activities of criminals and terrorists, as well as the legal violence of combatants." Col. Rees has given IDT presentations to the Proteus Management Group at the US Army War College, and the Association of Military Surgeons of the U.S. (AMSUS). In 2008 Dr. Rees and Dr. Leffler gave presentations at the International Sociological Association Research Committee 01 Seoul NationalUniversity & Korea Military Academy International Conference on ArmedForces & Conflict Resolution in a Globalized World. They explained how IDT could help soldiers suffering from stress-related problems like Post-Traumatic Stress and could reduce collective societal stress responsible for terrorism and war. Best resultsoccur when IDT is deployed within local political boundaries of the prejudicedarea(s). If this is not possible, IDT coherence-creating groups can be deployedin larger numbers to create positive effects across groups of countries,continents, or the entire globe. IDT achievesbest operating characteristics when all participants comprise one group withinclose association of each other (proximity averaging 1.5 meters betweenparticipants). However, positive effects will still be attained whenparticipants operate in several smaller groups. For this reason, sea-basedPrevention Wings are theoretically possible. For instance, the US carrier Kitty Hawk (CV-63) supported 1,000 Special Operations Forces onboard for its mission in Afghanistan. Therefore, carrier battle groups supporting IDT experts could be deployed tothe Persian Gulf to reduce tensions in the entire Middle East (approximatepopulation = 800 million; 1% of population = 8 million; square root of 8million = 2829 IDT experts needed to achieve the Maharishi Effect). This sametype of configuration could be utilized in other hot spots, such as North Korea and South Korea. It is likely that the militaries or other organizations of many countries will soon begin using Invincible Defense Technology. South Korea, for instance, is beginning to show receptivity to the IDT concept due to the rising tensions with North Korea. Presentations about IDT have been given at the South Korean government’s National Parliament Memorial Grand Hall and the Korea Institute for Defense Analyses (KIDA). Articles about IDT have appeared in The Daily Sunday, The Seoul Times and The Korea Post. These articles indicate editorial support for the proposition that when a coherence-creating group of IDT experts is established, collective tensions will dissipate. One of India’s leading antiterrorism experts, coauthor Major General (Ret.) Kulwant Singh, Ph.D., and associates are creating a group of 15,000 experts in Invincible Defense Technology (IDT) in central India. Based on the results of peer-reviewed scientific research using publicly available Rand Corporation data and published in the Journal ofOffender Rehabilitation, this group should be large enough to start reducing terrorism globally. The results of this study showed that deaths due to international terrorism dropped 72 percent and international conflict dropped 32 percent when large groups of experts in IDT were in place. Therefore, when the group of IDT experts in India is large enough, the incidence of terrorist attacks including IED attacks worldwide is predicted to decrease. However, this step would just be the start of a phase transition. Ideally, coherence-creating groups of 15,000 stationed on every continent would be enough to nip terrorism in the bud. Collectively, these groups of 15,000 on each continent would constitute several orders of magnitude in excess of the predicted square root of one percent of the world population. However, engineers who build structures for maximum human safety regularly "over-engineer" their creations out of concern for unanticipated variables. The same rationale holds for engineering world peace from activities at the level of transcendental consciousness and the Unified Field. It behooves the military of all countries and their related security agencies to apply this scientific research and implement the Invincible Defense Technology. We recommend that all countries create Prevention Wings of the Military and/or other similar coherence-creating groups to prevent not only IED attacks but also all war, conflict and terrorism. "Very impressive, General. But what I really want to know is how many Invincible Defense Technology Experts you have in your military!" "Since war begins in the minds of men, it is in the minds of men that the defences of peace must be constructed" (UNESCO Constitution). Societal stress leads human minds to choose violent actions. With the IDT approach, however, it is not necessary to locate and pinpoint single terrorists. Through the field effect of collective consciousness a Prevention Wing of the Military can eradicate the negativity in the general area where terrorists operate. In other words: IDT coherence-creating groups can remove negativity in a given population and replace it with coherence and harmony. Through these Unified Field mechanics of nature, terrorism can be averted. The stress-induced thinking and behavior of terrorists can be brought towards positivism. Even at the very last stage before a terrorist might commit a violent act, his or her thoughts and actions can be influenced in the direction of friendly behavior. In this manner, the social problems of conflict, war, terrorism get solved. IDT offers a complementary means to counter the implementation of IEDs. Every military expert will confirm that conventional means of defense will not completely protect against IEDs and other weapons. IED explosives create a "boom" effect with terrible consequences. If we follow the flow of time from left to right, the IED "boom" effect occurs at a point in time that has two sides: the left side, before the explosion, and the right side following the explosion. Analysis shows that we have grown weary of battling only the consequences of explosions. We need to examine the other side of this time-line. We need to fight against the causes of the IED explosion. The only effective means to accomplish this goal is to prevent the use of IEDs by moving as far as possible to the "left of the boom." If applied early enough, IDT prevents the enemy from arising at all. This outcome can now be achieved, in a scientific way, by targeting and neutralizing the enmity in a potential adversary so that no terrorists arise. Asymmetry on the battle field will be eliminated and symmetry will be restored. The result will be less violence and more harmony, ultimately eliminating the battles by eliminating enemies and creating victory before war—"the acme of skill" for a warrior. Lt.Col. (Ret.) Gunter Chassé —decorated with the Honorary Cross of theBundeswehr in Gold—served in the German Air Force mainly in the IntegratedNATO-Air Defense, alternately in commanding and staff positions and also wasemployed in Home Defense with territorial tasks. He will give a presentationto NATO and EU leaders about using Invincible Defense Technology to preventthe implementation of IEDs at the “CounteringIEDs Europe” conference in the Berlin, Germany on 21-22 October2009. Dr.David R. Leffler served in the U.S. Air Force for eight years andlater received his Ph.D. in Consciousness-Based Military Defense. Heis a special columnist for The Seoul Times and serves on the Board ofEditors for the Journal of Management & Social Sciences at theInstitute of Business & Technology BIZTEK in Pakistan. David served as anAssociate of the Proteus Management Group at the Center for StrategicLeadership, US Army War College and is currently the Executive Director atthe Center for Advanced Military Science (CAMS). Dr. Leffler gave an IDTbriefing about preventing IEDs to military and law enforcement personnel in Washington, D.C. at TheFifth Annual Countering IEDs: Assessing the IED Threat and its Evolution onthe Battlefield and in the Homeland on 18 November, 2008. This entry was posted on Monday, May 23rd, 2011 at 2:07 pm	and is filed under Articles. Both comments and pings are currently closed.